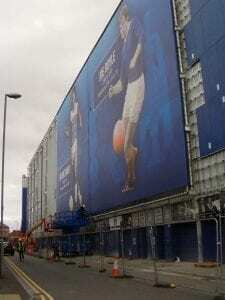 Stadium wrap at Everton FC installation started this week with the first of 15 mesh banners and due to be completed by December. 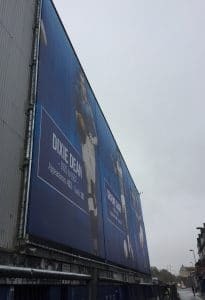 Project Print Management specialists in wrapping buildings and structures with digital print was commissioned to produce and install this complex stadium wrap. 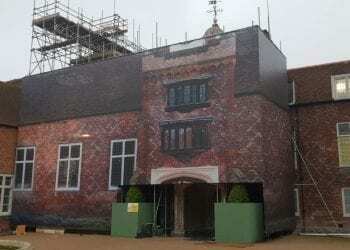 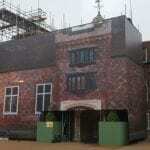 The total size of this building wrap is almost 4000M2 making it one of the biggest building wraps in the UK this year. The Stadium wrap is part of a major ground refurbishment scheme which also includes some new signage and stadium over clad. 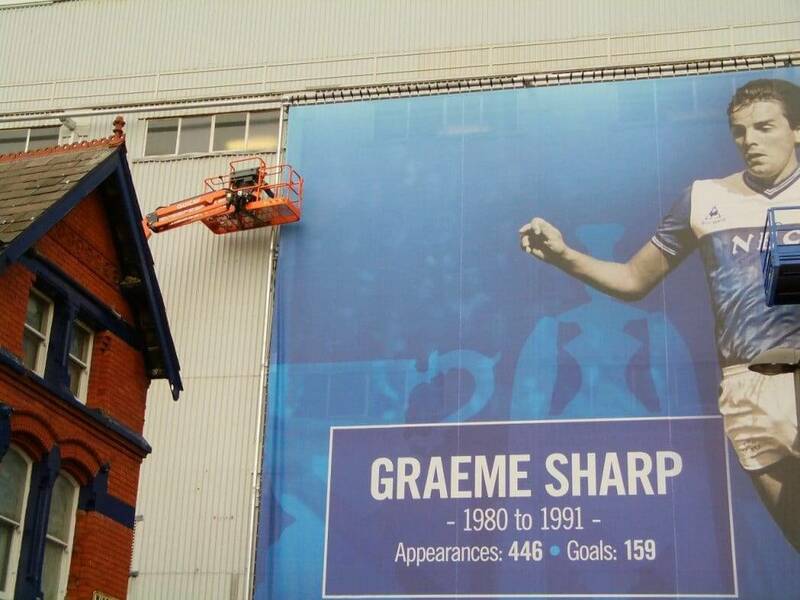 The large mesh banners are being installed onto a custom banner frame system design by Project Print Management. 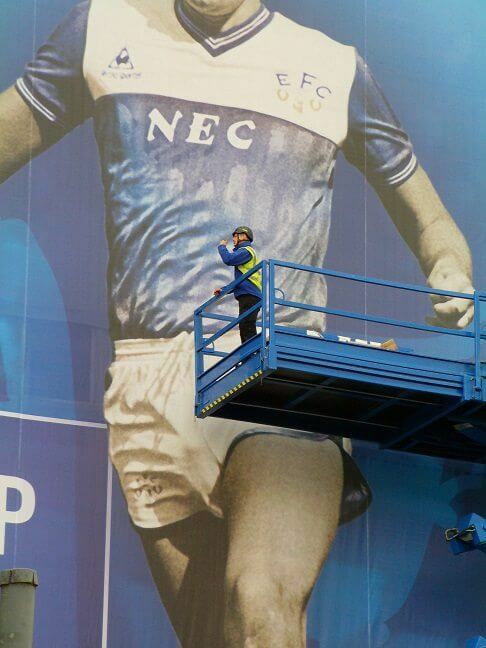 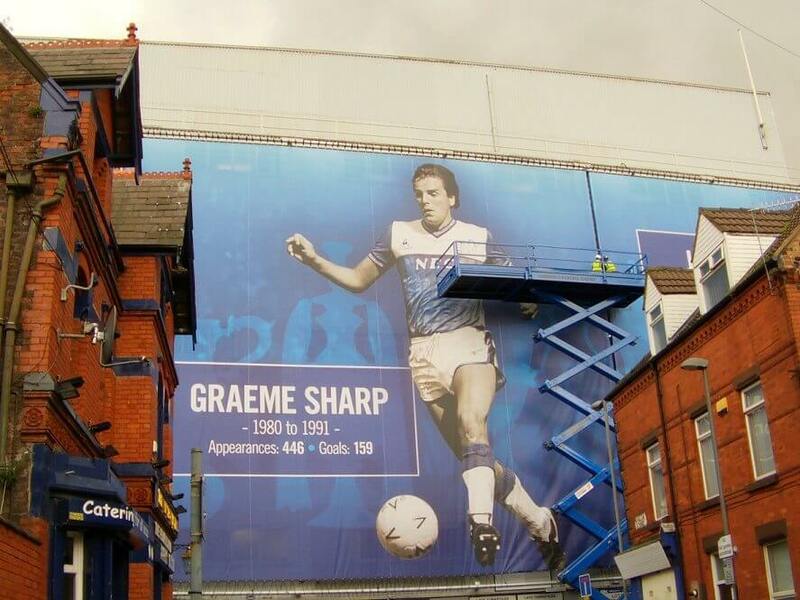 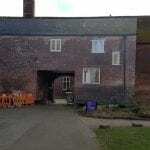 There will be more information on the installation of the Everton FC wrap as the installation progress.